7/15/12: This morning I decided to begin to post my daily thoughts of gratitude here rather than on Facebook. I am grateful for a long cry last night. I am grateful for the powerful and enlightening discussion I had with my boyfriend and the insight that arose from that discussion. We uncovered the most important question (of course after skill, number of surgeries performed, success rate, etc.) for the surgeon(s): how do they see the heart? Do they see it merely as an organ or do they see the heart as I do – as the spiritual center, the point of balance, as sacred? Handling my heart is not just a surgical/health endeavor, it must be respected for its larger significance or importance. For me to entrust the center of my being, the surgeon and his/her team must understand and honor my beliefs. Of course, more than anything, I remain grateful for my boyfriend and his love, honor, respect, and patience. I must have done something really right in a past life! 7/16/12: While I am not looking forward to the surgeon appt today, I am grateful that I have very good health insurance and that I will not be going to the appt alone. I am also grateful for this cup of coffee and the chorus of birds outside my open window that are helping me become more alert and ready to face this day. Lastly, I am grateful, as always, for these two wonderful dogs. Izu (on left in photo) is curled up on a pillow in the corner of my office and Bella (right) is laying very near me snoring. 7/17/12: This morning I am grateful for many things and people. First, my boyfriend who was able to ask good questions even when my brain had turned to nervous mush yesterday at the heart surgeon’s office. I am grateful that there is such a peaceful park on Lakeside. Between the peace of the lake and a conversation with my daughter on the phone, I was able to get back into balance. I am grateful for my grandson – I never tire of hearing him say “I love you Grandma.” And I am grateful for my dad. He has been through similar surgery to that I am facing and continues to offer support, information, and a sense of calm in what feels like a storm. I am grateful that the next surgeon I would like to interview (and the hospital they frequently operate out of) are both covered by my insurance. Finally, I am grateful for an amazing friend who started my day with a gift of heart and kind words. I am humbled by the love and support in my life. 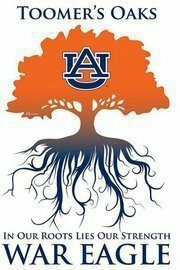 7/18/12: Anyone who knows me well, knows of my love for Auburn football. Okay, let me backtrack…anyone that knows me at all knows this. So, first of all I am grateful that I only have to wait 45 more days until Auburn faces off against Clemson. War Eagle! Since I did not sleep well last night, I am very grateful for a large pot of coffee this morning. And I am grateful for the changes that have occurred in my perspective since I was diagnosed with this crazy aneurysm. I see things very differently now and while I await surgery that will open up my chest, I find that my heart has opened further than ever before. I find that I am more gentle with myself and with others. For that I am very grateful. July 20, 2012: Obviously I am glad it is Friday; though it will be a busy Friday. I realized several days ago that I am grateful for my team at work. They are all individuals with strengths and flaws (as are we all) and they come together in such an incredible way. To watch them interact in our meetings (and try to contain some of their enthusiasm) is akin to watching a family. I am quite blessed to have been a part of assembling this talented group of clinicians. However, the thing for which I am most grateful today is the phone message I got from my daughter and grandson yesterday. I cannot begin to express how it melts my heart to hear my grandson say “grandma” on the phone. And then there was the good news that his liver enzymes have returned to normal. I saved the message so that I can listen to it again and again. July 21, 2012: So grateful for the extra sleep last night. I actually feel rested. I am grateful to my boyfriend for taking the time and effort to call my potential surgeon in California to ask important questions. And I am happy that I have a salon appt today – get rid of the grays for another few weeks. July 22, 2012: I am grateful for an extremely lazy Sunday. I have done little so far other than blog, read email, and eat breakfast. However, as I look outside the window and see the love of my life, I notice that he has set up the inflatable swimming pool (think 10 feet by 5 feet and about 2 feet deep). I think maybe the dogs and I should go swimming. Very grateful for that as it is about 91 degrees out and getting pretty warm in the house. Late addition: Really grateful for much needed rain and the beautiful double rainbow that followed. July 23, 2012: I am grateful that we are having more rain this morning. It has been a very long time since we had much precipitation. We all needed it. I am not grateful that it is Monday and the weekend is over; however, I am very grateful to have a job that not only pays me, but also provides a sense of satisfaction. I am also grateful for the sweet greetings from the dogs this morning and the sweet pineapple I plan to have with my peach and homemade protein bars for breakfast. Late addition for July 23, 2012: Imagine this: I am on the treadmill gettin’ some cardio, disco on the MP3 (no comments please – I was enjoying it), pouring rain outside, TV on left has Cam Newton footage with the Carolina Panthers, TV on the right has Auburn and other SEC team footage along with clips of an interview with Gene Chizik. Then, if that weren’t awesome enough…I walk out of the gym and the rain has stopped and in its place is a beautiful rainbow. It does not get much better! Oh, wait, it does – I have found my surgeon! July 24, 2102: Let’s see, first I am grateful that it is no longer Monday. I am also very grateful that the humidity level is a whopping 94% (though it won’t last once the sun comes up). As I spend time each day being aware of that and those for which/whom I am grateful, I am saddened in a way. I realize now how much I have taken for granted. I am surrounded by amazing colleagues, supportive friends, and loving family. I really have always taken in my surroundings, but now I notice even more. I wish that I knew how to teach others this sense of gratitude. Though I am unsure that this is possible. Last of all, but not least, I am very grateful for the beautiful sunrise. Wow! July 25, 2012: I notice, but am not grateful for the noisy helicopter that is flying around this morning. What the heck? It’s 0545? Nonetheless, I am grateful for my ability to hear and that I can still hear the birds chirping, the occasional dog barking, and my boyfriend stirring in his sleep in the other room. I am very grateful for a long conversation on the phone with my daughter yesterday and that we were able to get an appt with my surgeon so quickly – 3 weeks from yesterday in San Francisco. July 26, 2012: While I am not at all grateful to be moving my office nearly 5 miles across town from a quiet and serene location with great parking to a noisy, busy, stressful location with terrible parking far away from my closest friend at work, I remain very grateful for a wonderful staff. I am energized by their dedication and hard work. I am amused by their humor and playfulness. And I feel blessed to work with them. I am also grateful for sweet dog kisses that greeted me as I stepped out of bed this morning. Though Bella has retreated back under the bed, Izu is curled up behind me on a pillow. 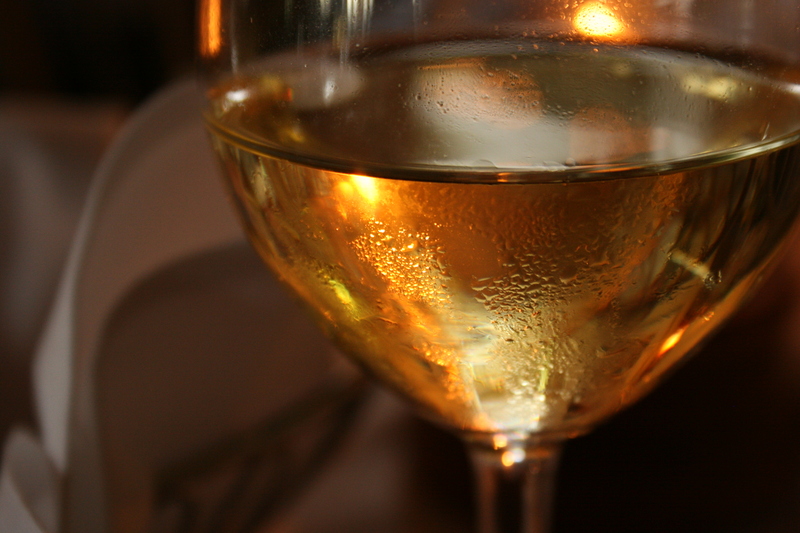 July 27, 2012: Like it or not, sometimes some wine helps. I am grateful that I took the evening off from working out and relaxed at home with boyfriend and the dogs. We talked and had some wine – me Riesling, him Sangiovese. I was able to unwind after the first stressful day of our office move – no, we did not actually get moved. Don’t ask. And, we were able to discuss time frames for surgery. Sooner, rather than later, like September sooner. So, I am grateful for Riesling, relaxation, long talks, difficult decisions and thank freakin’ goodness it is FRIDAY! July 28, 2012: First, I am grateful for the peacock that crossed my path on the way to work yesterday. Amazing! I am also grateful that our office move appears to have transpired without many hitches. I am happy that I was able to sit with my boyfriend this morning on the porch with the dogs and drink coffee. It is such a wonderful and peaceful way to start the morning. July 29, 2012: I am grateful for a lazy Sunday. We were out late at a wonderful party last night and it is nice to take things more slowly today. I am also grateful for a nice first experience returning to self-hypnosis practice. I feel rested and at peace. July 30, 2012: This sounds awful, but anyone who knows me knows I am more likely to under-use pain medication rather than over-use it. This morning I am grateful for Vicodin, because although the left side of my neck and upper back are stiff, the injured shoulder gave me NO problems last night and I slept pretty well for the first time in quite a while. I will see the chiropractor this evening and that should get the left side back in whack. Also, although really not grateful that the Direct-TV box died and I lost all of the things I had recorded to watch, I was grateful to take the opportunity yesterday evening to watch The Painted Veil. Great movie. July 31, 2012: My gratitude today is for a restful night’s sleep without interruption by pain (and without Vicodin), a warm kiss from my boyfriend, and cheerful greetings from Bella and Izu as I stepped out of bed. And as this is the time of year that my grandmother passed away 13 years ago, I am so very grateful that she was a part of my life for 40 years. Sending love to you Grandma. August 1, 2012: I am very grateful for a long talk with a good friend yesterday. Our friendship has meant a lot to me over the past 6 years and I feared that we had drifted apart. I am also grateful that despite racing thoughts while awake, I slept very soundly for six solid hours before waking at 0420 and even then drifted off until the alarm sounded at 0450. Finally, although shorter days signal that we are into the second part of a rapidly moving year, I do love to see the brightest stars that are still visible in the early morning. August 2, 2012: I am grateful for a break in seriousness that occurred during a weekly meeting yesterday – the same meeting that has often been the source of GREAT frustration. I have not laughed so hard I snorted in quite a while and that happened twice along with the tears that only hard belly laughs can bring. Laughter is totally underrated. Very curative. August 3, 2012: It is hard to feel grateful today. My shoulder kept me awake and hurts more after a much too vigorous handshake from the chaplain at work yesterday (what’s with some men, do I look like Michael Phelps?). Also, I am swamped at work and after working 2.5 hours of comp time last night, will be working all day Saturday. That means no trip to the lake and less time to recover from the week. So, I feel sore, tired, and irritated. However, I am grateful to have a job, a home, family and friends, and two loving dogs. So for today, I will focus on those things. (also, earned comp time will help with the time I will need to take off for surgery). August 4, 2012: Grateful that even though I must work today, I got to sleep in an extra hour and don’t have to dress up. Yesterday at work, I was reminded again how grateful I am to have hired the team of professionals who work in my clinic. How wonderful it is to work with so many bright, talented, passionate and hard working women! August 5, 2012: Today I am grateful for laziness. Not the kind that leads to a wasted life, rather the kind that sometimes occurs on a Sunday morning after working a six day week. Boyfriend and both dogs are napping and I am researching the potential costs for my surgery online. The dryer stopped and I have not answered it. I have not even had breakfast yet. Ahhhh, laziness. August 6, 2012: I am so very grateful to feel less stress this morning. One cannot underestimate the simple pleasure of waking up on a Monday and knowing that you are not so far behind that you cannot see your behind. I have not only made a new workout playlist for the gym, but also downloaded some interesting podcasts and audio books for the hour long commute. Many things about which to be grateful today. I will focus on these and attempt to remain zen-like today. Considering adding a page with daily intentions. Hmmmm. August 7, 2012: Wow, in one week we will be driving to San Francisco to meet my surgeon. Today I am grateful that I got to lift a tiny amount of weight yesterday. My PT for the shoulder injury now includes light rear deltoid work (2.5 to 5 lb). I felt just a smidge more powerful at the gym yesterday. I miss the iron!!! No, I really miss it! I am also grateful for the young man who spent nearly an hour hanging all of the pictures, certificates, etc. in my office yesterday. It feels so much more like my space now that the baby wolves, the Auburn Creed, etc, are up! And since my daughter is on my mind today, I am reminded how grateful I am that she is in my life! August 8, 2012: Coffee!!!! Humor. Friends. Family. White peaches. Oh, and I am grateful for coffee! August 9, 2012: I am grateful for a good night’s sleep and that I was able to do my shoulder PT yesterday. It feels so good to have the iron back in my hands (even if it is just a 2.5 lb plate or a 5lb dumbbell. Iron is iron. I am also very grateful for the peace of the morning outside my window. The sun has not yet risen and a lone star sits high in the sky. For now, it will be my morning star. August 10, 2012: Grateful for Friday. I am also grateful that the PT seems to be helping my shoulder heal. It still hurts, particularly at night when I am trying to sleep, but it is a lot better. I am also grateful for the still of the morning before the bustle of my day. August 11, 2012: Sleeping in. That’s my gratitude today. I slept in until 7:45am. How wonderfully decadent to get nearly 3 extra hours of sleep. I am also grateful for a very stimulating social and political discussion over coffee this morning while sitting on the front porch with my boyfriend and the dogs. Of course the dogs did not opine. They just slept. August 12, 2012: Given the temperatures we are having, I am very grateful that we have air conditioning. We try to leave it off until it starts to warm up (it is 90 right now – 1230 – and the high is supposed to be 100). I am also grateful for the midday quiet as my boyfriend and the dogs nap. August 13, 2012: I am grateful for a really nice afternoon and evening with my boyfriend yesterday. We went to a movie and then out to our favorite bistro for drinks and food. We had a long and very deep discussion over our refreshments and I am reminded how amazing it is that we found one another. I am also grateful for a very special text from my daughter. My love for her knows no limit. August 14, 2012: I awaken today so very grateful for the friends and family that fill my life with so much love, joy, support, and laughter. How on Earth did I become so very blessed. 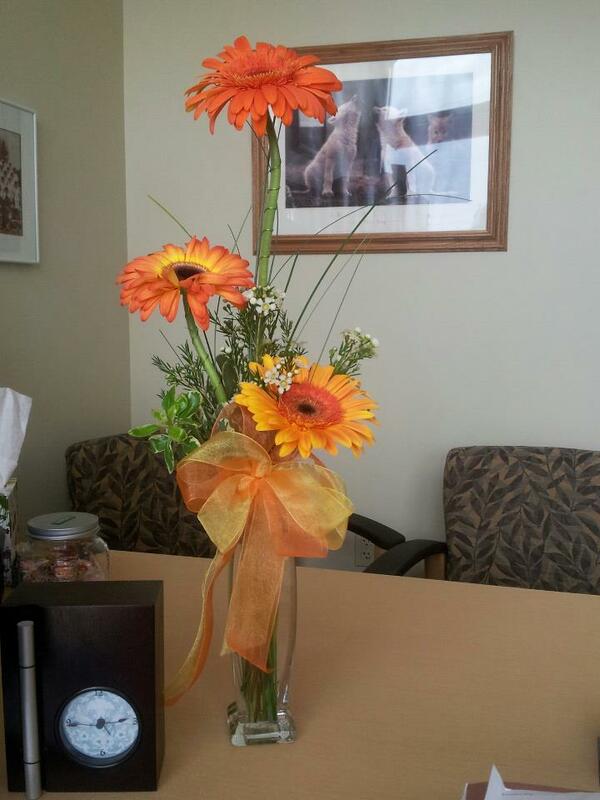 Here is a photo of the lovely flowers I received at work yesterday from staff whom I also consider friends. August 15, 2012: What am I grateful for today? Everything! I feel so much relief and gratitude that my heart is light and filled with joy. I am grateful for the love and support of family and friends. I am grateful to have found a wonderful, compassionate, and very skilled surgeon (Dr. Vincent Gaudiani), and I could not be happier with the news he gave us yesterday (see my blog from last night). It is truly a wonderful day. August 16, 2012: I am grateful today to have a date for my surgery. This takes me closer to returning to activities that gave me so much pleasure and to letting go of recent worries related to aortic dissections and blow outs. While I do feel tense and there is a lot to do, I am more often at my best when I have direction and know what needs to be accomplished. I am also grateful for very generous neighbors who have already agreed to watch our dogs and home while we are away for the surgery. August 17, 2012: I am so grateful that my shoulder hurts less each day and the strength in my right arm increases. I am grateful for a good leg workout yesterday – I have decided that I need to strengthen my legs for the surgery. Why? because I am guessing that upper body efforts will be very hard following the surgery and I will need my legs to stand up, etc. I am also grateful for a long talk with my mom and that my dad and stepmom are coming to support me during my surgery. And finally, I am grateful for sweet dog greetings this morning. August 18, 2012: I am grateful for the light rain that awakened me this morning and for the double rainbow right outside my bathroom window that greeted me as I got up. I am also grateful that I only have to wait 2 more weeks for Auburn Football and one week until a good friend’s first bodybuilding show. Late addition to gratitudes for today: so glad that my dad and stepmother are coming to support me during my surgery and that my mom is coming shortly after I get home to help out and keep my spirits up. 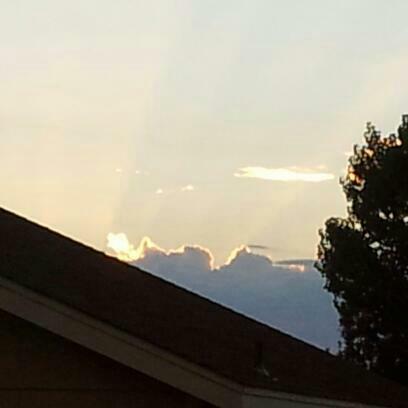 August 19, 2012: I got to bed at a reasonable hour and was awake for the sunrise – without awakening to an alarm. I am grateful for the sunrise, the quiet time on the porch with coffee and the dogs, and a nice long walk with the dogs. August 20, 2012: Okay, gotta say it. I am grateful that there the first Auburn game is less than two weeks away. War Eagle! I love college football. August 21, 2012: White peaches, white nectarines, free stuff at that well known lingerie store that has an annual fashion show, and finding that the online site for another favorite store is out of every size except mine in the pants I wanted to purchase with my friends reward certificate. I am also grateful, though a little annoyed that there is a cute little white dog under my chair trying to lick my heels so that I don’t forget to reach down and pet her. August 22, 2012: Three weeks from today I will be heading to the hospital for my surgery. Did not sleep well, but I am grateful for a good workout last night and that I have not gained weight in the last week or two since I have been a bit more lax with my diet. There is some freedom at the gym in not having a specific agenda other than, let’s train legs, arms, abs, PT on shoulder, and cardio. I have learned enough about working out these past 2.5 years that I can invent a workout on the spot. Pretty cool! I am also grateful that the SW board finally granted by boyfriend his CSW-Intern license so he can now work. And last of all, I am grateful that in 12 days, we will have been in a committed relationship for 12 years. I am so grateful that we found one another. Remind me to tell you about that sometime. August 23, 2012: While not happy about all of the fires in California, I am amazed and grateful that nature creates such beautiful sunrises as a result of the additional particles in the air. I am also grateful to be 6 views away from 1000 since I started this blog. I appreciate my family, friends, fellow bloggers, and quiet readers. August 24, 2012: Another beautiful sky this morning…striated violet, rose, orange, yellow, blue, darker blue – wow! I am grateful for this amazing view out my window. I am also grateful that the fire in the valley was quickly controlled. My workout last night felt good. Though I miss working my back and chest and having a more powerful arm and shoulder workout; I am glad that I am able to do some, that my shoulder no longer awakens me in pain, and that I can do legs. August 25, 2012: I am grateful that I no longer have to worry about going without pay during my surgery – thank goodness for donated and advanced leave. I am also glad to finally be done with the settlement for my insurance claim from the accident last November. I would never tell that company, but I remain grateful for the car accident because it led to the diagnosis of my aneurysm. And finally, I am grateful to have the opportunity to watch a friend shine today in her first bodybuilding competition. August 26, 2012: I am so grateful to have spent the day with my friend yesterday. How inspirational it is to see so many (more than 150 competitors) who have worked so hard to make their bodies strong and beautiful. 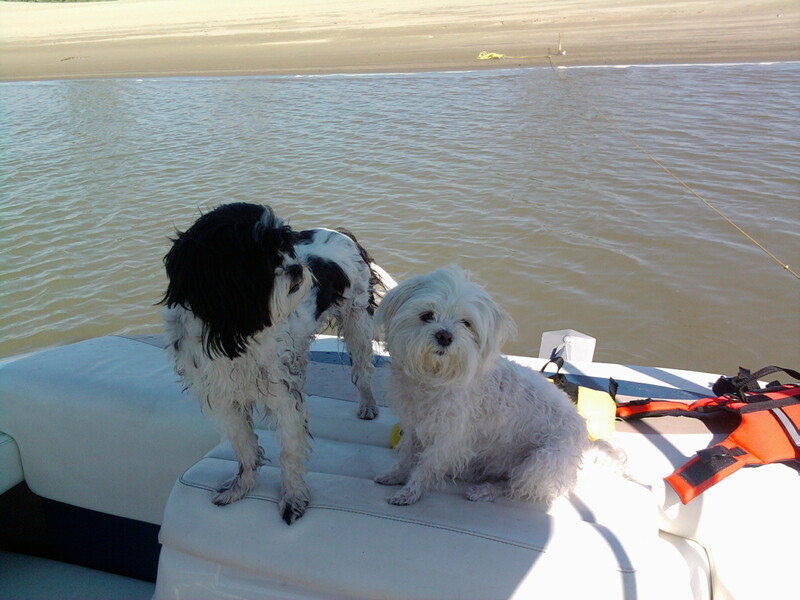 This morning (National Dog Day) I am also grateful for the four-legged family members – Bella and Izu. They were so excited when I came home late last night that I had to shush them so they would not wake my boyfriend. August 27, 2012: I am grateful for cool air last night (it is currently 46) that allowed for comfortable sleep – that is until I was awakened at 0430 by semi-automatic gunfire in the nearby mountain. I am grateful that the new highway extension is open today and hope for a smoother commute. August 28, 2012: My list is long today – another beautiful sunrise, wonderful and supportive friends, family, and staff, Auburn football is just around the corner…that’s enough for now. I am grateful for the many blessings in my life. August 29, 2012: At the risk of redundancy, I am once again grateful for a beautiful morning sky and sweet kisses from the dogs. I am also grateful, as my post today indicates, for a phone call from my grandson last night. August 30, 2012: Today’s post is my gratitude: Three acts of kindness. August 31, 2012: I am grateful that it is Friday and that football starts tomorrow. September 1, 2012: Just under 6 hours before Auburn Football!! Grateful to a friend who created a beautiful gold star for my STAAR surgery and to my wellness coach TK – who took the time to phone me on Thursday to check in. September 2, 2012: I am so grateful for cooler nights and mornings that warm more slowly. It is a glorious morning. September 3, 2012: I am grateful for 12 wonderful years. September 4, 2012: I am very grateful that half-caffeinated coffee wakes me up as well as full-caffeinated coffee! September 5, 2012: I am grateful that my injured shoulder, though still sore at times, is getting stronger (as is the arm). In my workout yesterday, I could feel a definite difference in range of motion and strength. September 6, 2012: I am grateful for a long talk yesterday with my daughter and with a good friend. I am so very grateful for all of the caring people in my life. 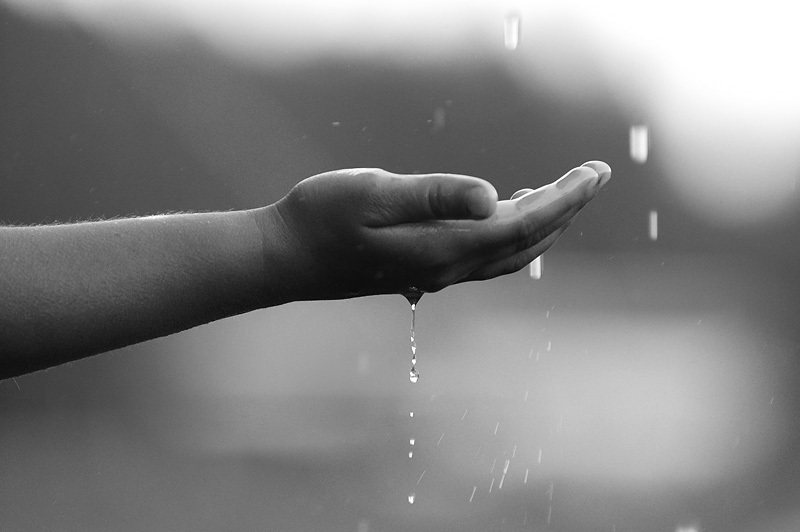 And lastly, I am grateful for the rain – we needed it so badly. September 7, 2012: Sleep. I am grateful for sleep and for diphenhydramine. September 8, 2012: I am grateful for the amazing support and affection I feel from friends, colleagues, staff, and family. September 9, 2012: I am very grateful that I have a chiropractic appt and a massage tomorrow. Something is out of whack in my upper back/shoulder and it hurts a lot. September 10, 2012: I am grateful that God gave me my daughter – 31 years ago today. September 11, 2012: I AM, and for that I am grateful. October 13, 2012: Too many days since my last gratitude. I am so grateful for breath and that we diagnosed and treated the pleural effusion. Now, on to the business of healing!